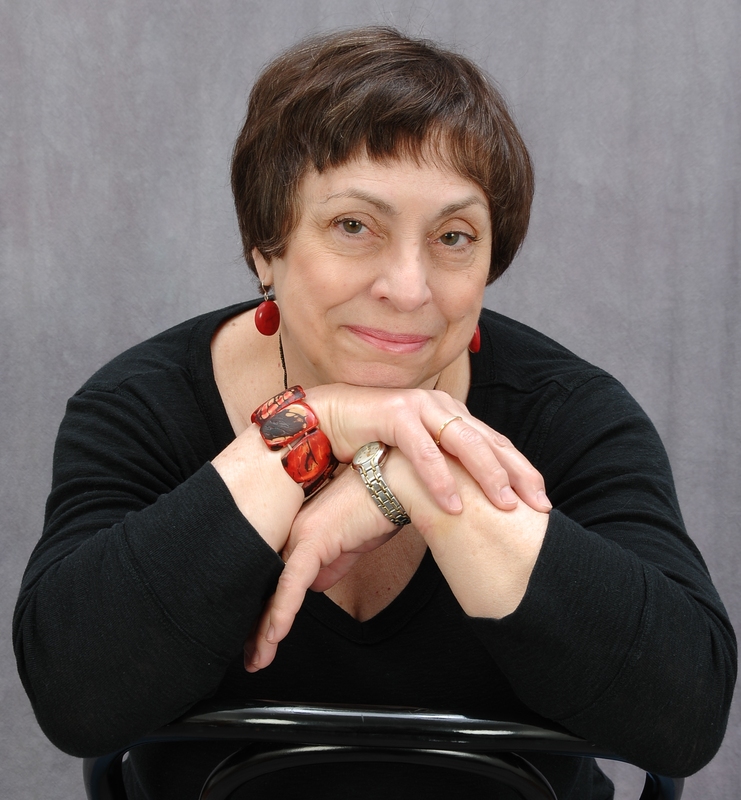 Today I’m welcoming Gayle Rosengren to my series of author interviews. 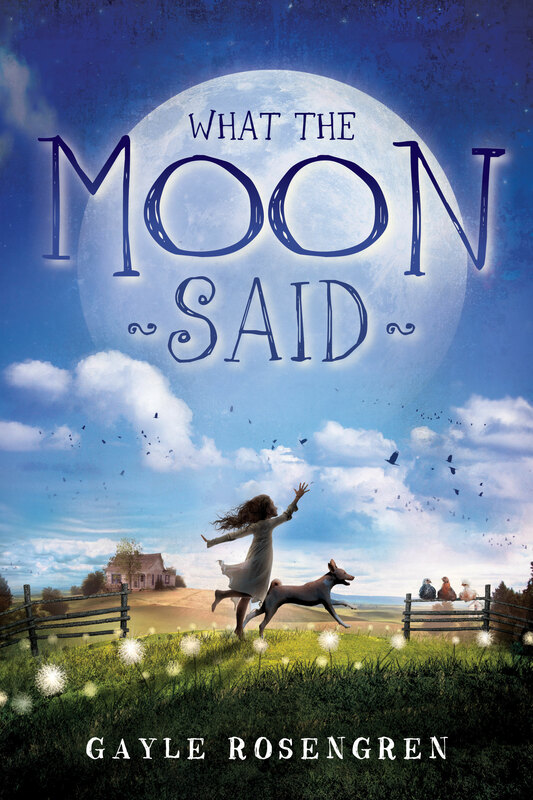 Gayle is the author of the middle-grade historical novel What the Moon Said. Q: Can you tell us a little about What the Moon Said ? Gayle: I’d love to! It’s a novel inspired by some events in my mother’s childhood. The story takes place during the early days of the Great Depression and follows ten-year-old Esther’s experiences when her father loses his job and moves the family from an apartment in Chicago to a ramshackle farm in southern Wisconsin. In addition to the challenges of adapting from city life to country life (especially life without electricity or indoor plumbing!) Esther struggles to elicit some expression of love from her undemonstrative and very superstitious mother. Ma emigrated from Russia as a young woman and brought superstitions with her the way many other newcomers brought seeds, and she planted and nurtured them just as carefully as they did, but in her family. As life becomes more difficult on the farm, she clings to them ever tighter and forces Esther to make difficult decisions about her own beliefs. Q: How long did it take from story idea until the book was published ? Gayle: Oh dear, this will surely horrify and scare off struggling writers, but in my case it was a ridiculously long fifteen years. However, this is an excellent example of how important timing is in the publishing business. I wrote this story in 1998. Three different well-known editors loved it and wanted to acquire it, but for various reasons their acquisitions committees wouldn’t approve it so they had to pass. I gave up on the manuscript and tucked it away, never dreaming that it would have a second chance years later. But when I was going to an annual weekend retreat three years ago something made me think of it and I decided to submit it. To my shock and delight the editor who saw it fell in love with the character of Esther and her story. She worked with me on some tweaks to heighten the tension, and a year later I had a contract and not quite two years after that I was published. The writers I know all agree that it takes more than a good manuscript to be published. One must get the right manuscript to the right editor at the right time–and all the stars must be in the right alignment! Q: Do you have any books in the works? Gayle: I have another middle grade book coming out from Putnam/Penguin Young Readers in the summer of 2015. It’s called Cold War on Maplewood Street. It’s more recent historical fiction set in Chicago in 1962. Q: Why do you write for middle grade readers rather than YA or adults? Gayle: Most of the books I read when I was their age are with me still. They opened my eyes to different worlds and my heart to different people. They played a large part in shaping the person I would become. Their impact was immeasurable and lasting. I hope to make the same difference in my readers’ lives as the writers I loved so much made in mine. Q: How are you able to get into the mind of a child? Gayle: I have a lot of very vivid memories from the different stages of my own childhood, and I raised three children separated by eleven years, so I had a lot of time to observe two girls and one boy up close and personal; also, I worked as a youth services librarian for several years, which was yet another source of experience; and, oh yes, I was a Girl Scout leader. That totals a lot of my life being in touch with my inner and outer child. Gayle: When I get an idea, I mull it over for a while, then I make a really rough outline of how it would flow–just a few words or a sentence about what I envision might happen in each chapter. These ideas often change if I think of something better while writing, but they are my first vision of the story and like sign posts on a road, keep me from losing my focus and direction. If I think there’s enough substance to the idea, I write the first chapter. This is the true test of whether I’ll go forward with the idea or not. I’m very picky about first chapters. To me, they’re like the foundation of a house and must support everything else that will be built on it. I may rewrite a first chapter dozens of times, in different voices and tenses, and starting at slightly different points in order to get everything basic to the story into the chapter and have a good cliff-hanger ending in less than ten pages so it will keep readers reading. If I remain excited–or even better, get even more excited about the story–it’s a keeper. Then my process is to sit down every morning with my first cup of coffee and write until I know it’s time to stop because I’m tired both in body and brain. I keep at it the next day and the next until the first draft is finished–generally this takes about a month. I read it through and self-edit to the best of my ability, and then share it with my critique partners who will see it through far more objective eyes, since at this point I’m so close to the story it’s difficult to see the missteps. A few weeks later when I have their invaluable feedback as well as a little bit of distance from the story, I go back and edit again in light of their suggestions. Then I go through it again line-editing for the tiniest of changes to make it just as strong and beautiful as I can before I send it out into the world to see if it will fly. Gayle: Like my main character Esther I love books, dogs and horses. I lived the first 40 years of my life in or near Chicago, and (again like Esther) then moved to Wisconsin due to my husband’s job transfer. I have lived in Wisconsin long enough now that I feel I can honestly claim to be both an Illinois and a Wisconsin author. I love doing school visits. The kids are so interested in hearing about my writing journey and so full of really great questions, the allotted time always goes too quickly. I love to travel. 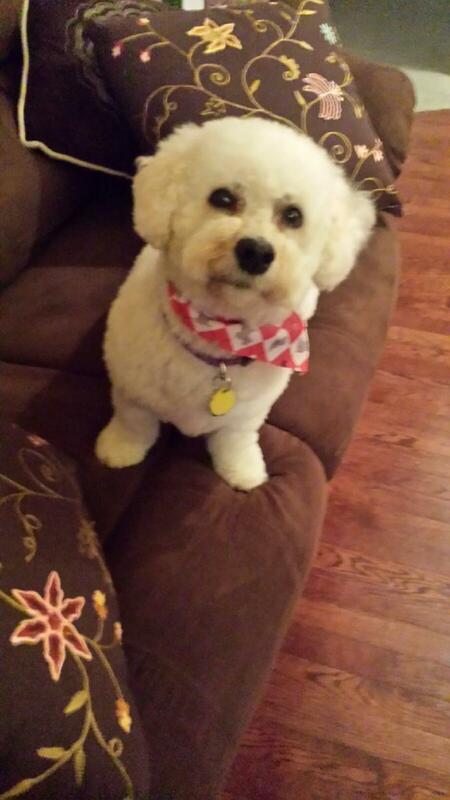 And I have a Bichon Frise rescue dog named Fiona who always tries to come between my husband and me when we hug. Q: Tree house or doll house? Gayle: Violin to listen to; piano to play. Q: Comic story or learn-something story? Gayle: Learn-something story, but a little humor along the way never hurts. Q: Laura Ingalls Wilder or Hermione Granger? Gayle: Laura Ingalls Wilder. I’m all about realistic fiction. Her website includes a page of discussion questions for book groups and teachers. Thanks to Gayle for visiting with me today. Very. very interesting! And inspiring!